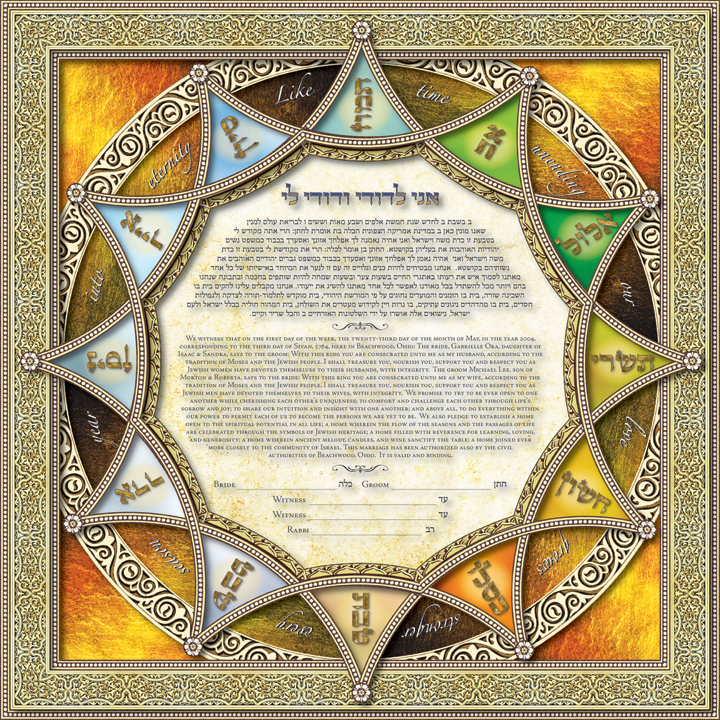 The square format of the Seasons of Love ketubah symbolizes the balance, equality and stability of the couple’s blessed union. 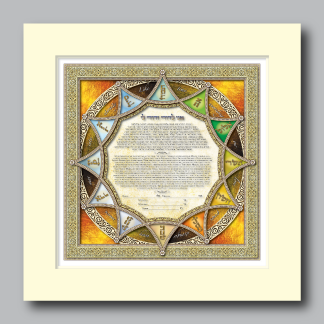 A series of intricate frames surround the inner text of this ketubah. 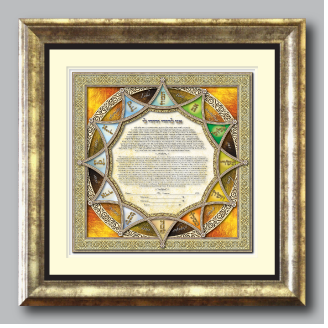 A 12 pointed star features each of the Hebrew months of the year, and the colors in each triangular window correspond to the season in which the month falls. Hues of blue suggest Springtime, followed by the verdant green of Summer. Warm yellows and orange remind us of Autumn, followed by the cold colors of Winter. This seasonal wheel floats above a carved ivory circle that reflects an undulating motif. This circle moves the viewer around the wheel through each month and season and through time itself. 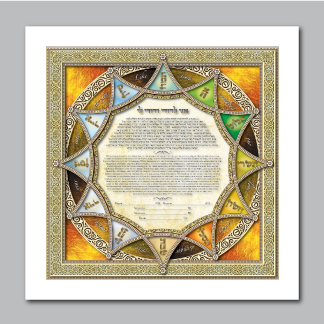 The words “Like time unending our love grows stronger every season, year into eternity”, as spoken by the betrothed couple, communicate the commitment of a life spent together in joy, happiness and love.